2012 Pleasure-Way Excel TS - Excel Class B Coach w/Rear Electric Sofa, 2 Ottomans & Table, 2 Burner Range w/Refrigerator Below, Single Galley Sink, Swing Out TV Cabinet, Lav., Shower, Toilet, Microwave, Closet Below, Front Table, Drivers & Passenger Seating & More. 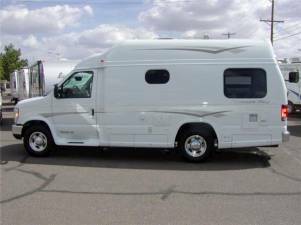 Excel Class B Coach w/Rear Electric Sofa, 2 Ottomans & Table, 2 Burner Range w/Refrigerator Below, Single Galley Sink, Swing Out TV Cabinet, Lav., Shower, Toilet, Microwave, Closet Below, Front Table, Drivers & Passenger Seating & More. This ad has been viewed 2,822 times.